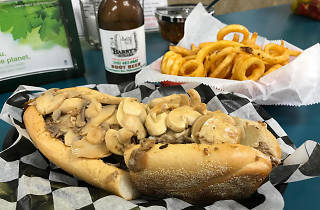 Self-styled cheesesteak sherpas might confidently name-drop Delly’s and Chubby’s as the best steak in the Manayunk/East Falls/Roxborough area, but Barry’s is a bit of a deeper cut. 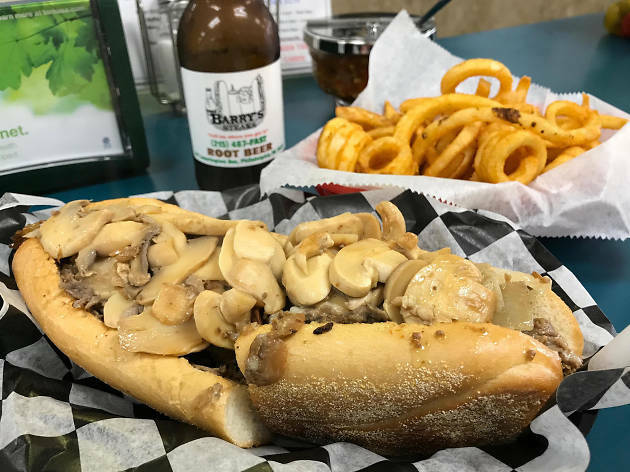 Around since ’89, this friendly neighborhood shop slings its steaks along a long luncheonette-style counter, working burgers, wings, dogs and other crowd-pleasers into the equation. There’s also a cold case filled with Barry’s own brand of soft drink, in flavors ranging from root beer to raspberry lime rickey.